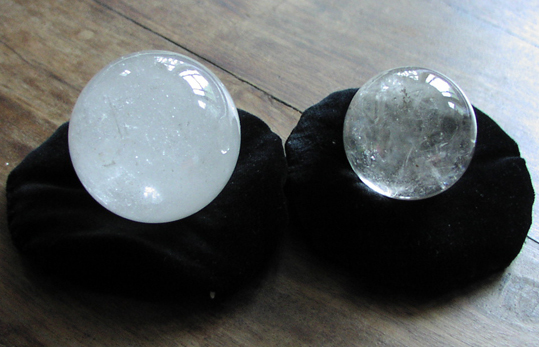 Earlier this week, my hubby bought me these two crystal balls at The Litlington Crystal Store, in Sussex. He took me there to let me choose a wedding anniversary gift for him to buy me. I couldn't decide between the two quartz balls, so he bought me both. Aren't I lucky! I'll be bringing both of them along to the afternoon workshop, Scrying by Candlelight, that I'm running at The Atlantis Bookshop on Saturday 22nd October. The workshop will teach the techniques of scrying using crystal and glass balls, dark mirrors, candles and water. The workshop is a practical afternoon with lots of opportunity to develop your psychic senses to see the past, the future and the answers to questions in reflective surfaces, flames and smoke. If you are interested in coming along, the cost is £20 per person. To book a place, email atlantis@theatlantisbookshop.com, phone 020 7405 2120 or pop in to the shop at 49A Museum St, London WC1A 1LY. The shop is in between Tottenham Court Road and Holborn tube stations. The photo at the top was taken by myself, Lucya Starza. Please credit my name if you use the photo.